The Ariyan Vocation is jump-started with two essential variables—Samatha (unshakable calm) and Vipassanā (clear-headed gnosis). Without them one remains bound to patterns of contingency—forever linked with samsaric strings of irrationality and chaotic consequential behaviors. Beings of a nobler-kind are like lotus-flowers that rise above the muck and mire that line the byways of those who are forever linked with ignoble enterprises. The way forward to being an Ariyan-renunciate is based on Right-Gnosis that is accompanied with a sense of “transcendental dignity”. This does not consist in a morbid rejection of mortality (likened to sickly, pallid and shriveled-up monastics) but rather a deeply rooted inner-realization that all that appears to be is inadequate to a higher and nobler enterprise. This Higher Self-Realization remains the fundamental reference point for the Ariyan-Buddhist. All else is stuffed with a ‘perennial insufficiency’. For the Ariyan Buddhist the “extinction” referenced here refers to deathlessness. 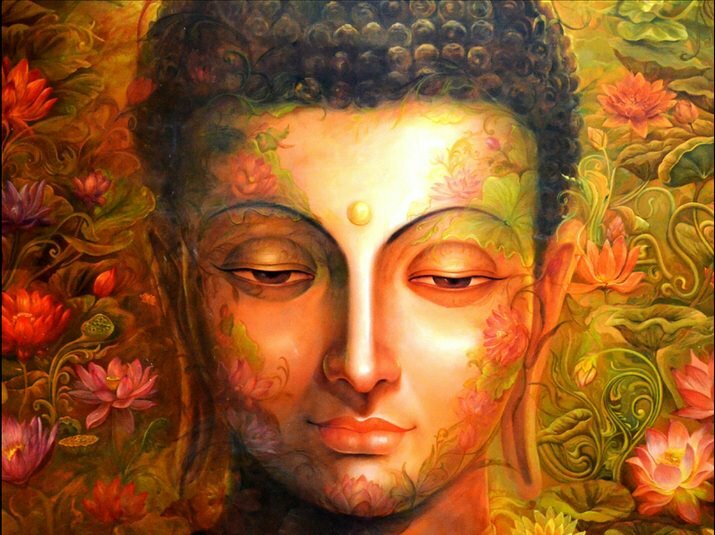 And the ultimate quest is for the Deathless Unborn Buddha Mind—the Mind of the Ariya, the Mind that is impervious to the born, the created and the conceived. Evola insists that the road towards ‘pantheistic promiscuity’ mars the quest for the Unborn. He speaks of a those who cling to ‘pseudo-mysticisms’, who confuse momentary-experiential sensations with what is won through hard-core Buddha-gnosis that brings clarity of Mind and NOT feelings based on flimsy short-lived naturalistic episodes of the clouded-mind—mistaking astral-impressions for the Imageless surety of the Unborn. Evola would consider all of today’s New-Age philosophies as mere puff-balls that, once squeezed, reveal their lack of any Substantial Essence of the One and Absolute. ‘Strict Ascesis’ is what is required on the hard-won awakening path of the Ariya. In conclusion of this chapter it is necessary to point out that the ascetical-ways of those with an Ariyan Vocation are classically ‘free from spiritualized and sanctified masochisms’. (ibid, pg.91) However, this must not lead one under a false-assumption and illusion that the way is barren of any ascetical-discipline. The ariyan-adept needs to develop ‘exceptional inward energies’ that fine-tune the Spirit of Recollection that alone empowers one to discern the true from the false. The remaining chapters in this series highlight what Evola designates as the “Practicum”, or those spiritual-techniques that will fine-tune for the ariyan adept those two essential variables: Samatha and Vipassanā. This entry was posted in The Doctrine of Awakening and tagged Ariyan Vocation, deathlessness, Samatha, Vipassanā. Bookmark the permalink.